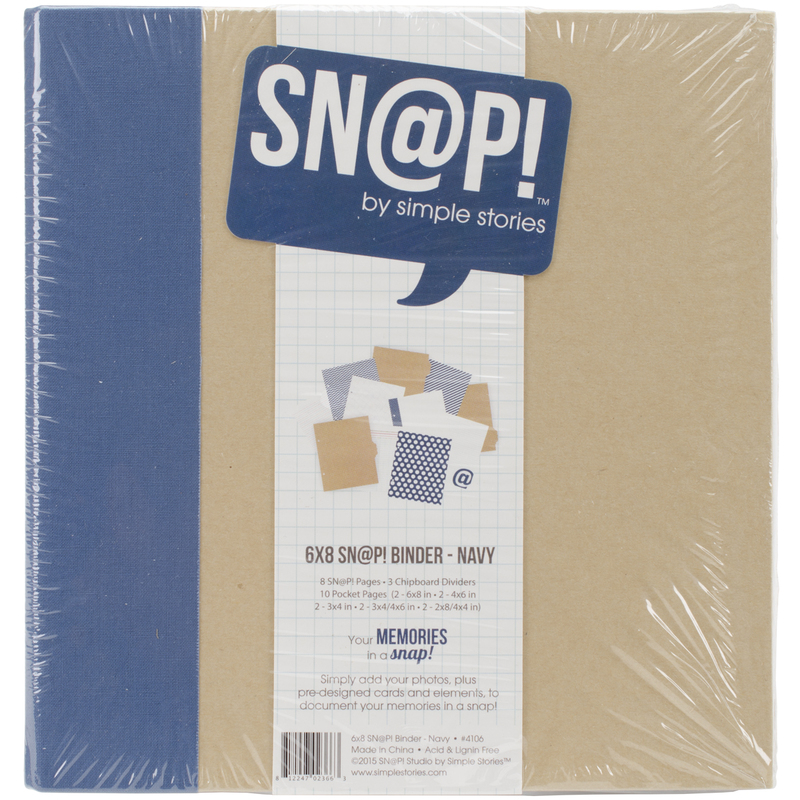 SIMPLE STORIES-Sn@p Life Collection: Binder. It's your life in a snap! This binder includes a variety of pages, pockets, and dividers so you can easily create a personalized album filled with your cherished memories. The binder itself measures 8-3/4x8-3/8x2 inches and holds pages up to 8x6 inches in size. It comes with eight Sn@p pages, three Kraft chipboard dividers, and ten Sn@p pocket pages to get you started and can also be filled with various other sheets of your own.